As I discussed in my last post, the search for signs of extraterrestrial life has caught the interest of many people for a very long time, and the specific search for signals from other life forms has been a particular source of fascination over the last 50 years. 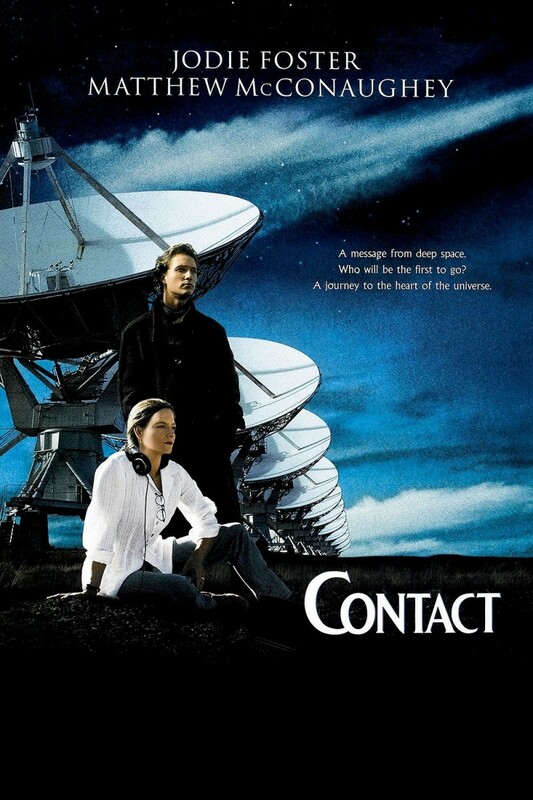 In the 1997 movie Contact Jodie Foster’s character detects an alien broadcast from a nearby star while listening to radio signals. It was a huge box office hit. In the poster above you can see that Jodie Foster is wearing a pair of headphones. However, I’m sorry to disappoint you, but astronomers do not actually sit around looking cute and wearing big headphones. All analysis is done by computers which monitor millions of channels simultaneously, but this wouldn’t make such a good movie! What types of signals are we looking for ? 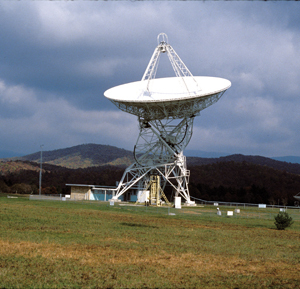 The search for extraterrestrial intelligence (SETI) is almost entirely carried out using the large radio telescopes which are used to identify and examine astronomical objects like galaxies, gas clouds or stars. These astronomical entities transmit radio signals over a wide range of frequencies at the same time, and this can be clearly picked up and identified by the powerful telescopes. Astronomers have, however, reached a consensus that an alien civilisation trying to make contact with other life forms would be likely to transmit radio signals at one particular frequency, rather like a radio station. The other characteristic of a deliberate attempt at communication would be that the signals contained some identifiable patterns. Signals from something like a gas cloud would not contain any such patterns or information. 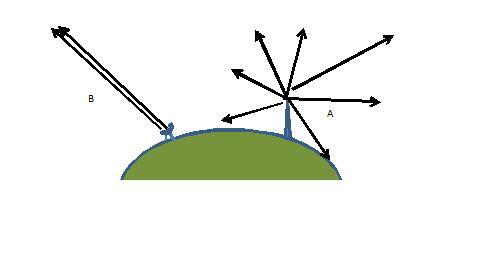 Radio waves from a natural source such as a gas cloud (A) are spread over a much larger range of frequencies than an artificial broadcast such as a radio message (B). Essentially there are two types of signal we could in theory receive from an extraterrestrial intelligence. A signal which has been sent out by an alien civilisation not intended to received by us. Radio and TV signals generated by humans on Earth escape into space and have been slowly spreading out in all directions into a larger and larger volume of space since the first radio transmissions over 100 years ago. If another civilisation elsewhere had developed similar technologies, we could in theory pick up these signals here on earth. However, with our current technology these signals would just too weak to pick up on Earth even from the nearest stars. So sadly we cannot yet tune into alien TV broadcasts 😉 – but maybe we will be able to do so in the next ten years or so – if there is anyone out there sending them! A signal sent by an alien civilisation using a powerful transmitter, deliberately beamed at the Earth, with the intention of letting us know that they are there and probably revealing information about itself. (Although we cannot possibly know for certain what another civilisation would choose to disclose, we could perhaps speculate that it would contain similar information to the message that we ourselves broadcast into space from the telescope in Arecibo in 1973, in the hope that extraterrestrial beings might hear and understand it. I will talk about this at a later date.) This second type of signal would be many millions of times stronger than the first type and could be picked up from stars up to one thousand light years away with our existing technology. (See notes at the end for what is meant by a light year.) Deciphering such a message constructed by an alien intelligence might prove to be incredibly difficult, but there would be no shortage of people who would be happy to devote their entire life to carrying out this amazing task. 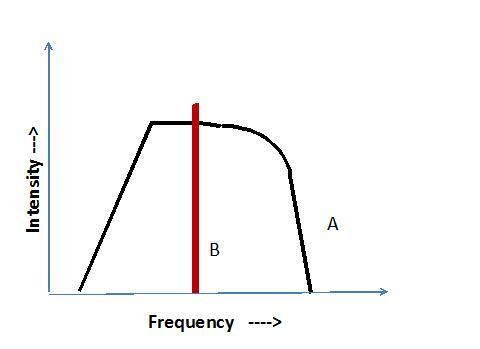 The second type of signal (B) is many millions of times stronger than the first type (A) because all the energy is concentrated in a narrow beam. As mentioned in my previous post he first search for radio signals from alien civilisations was performed by a team led by one of the pioneers of SETI, Frank Drake (1930-), in 1960. Drake’s team used a radio telescope with a diameter of 85 feet (26 metres) to examine two nearby Sun-like stars that he thought could have planets with intelligent life. He decided to search for signals at a wavelength of 21 cm, which is the wavelength of the radio waves emitted by hydrogen gas. Because hydrogen is the most common element in the universe and the 21 cm radio waves easily pass through the atmosphere of the Earth and any other Earth-like planets, Drake thought that this would be the wavelength that aliens would naturally use to transmit messages to us. In total he scanned 4,000 narrow radio channel over a four month period. When the data was analysed no detectable alien signals were found. Since Drake’s project there have been a large number of searches for signals from extraterrestrial civilisation by astronomers from many countries in the world. Over the years the sensitivity of the searches has improved by using larger telescopes and cooling the receivers to very low temperatures, which cuts out some of the background noise generated by the telescope itself. 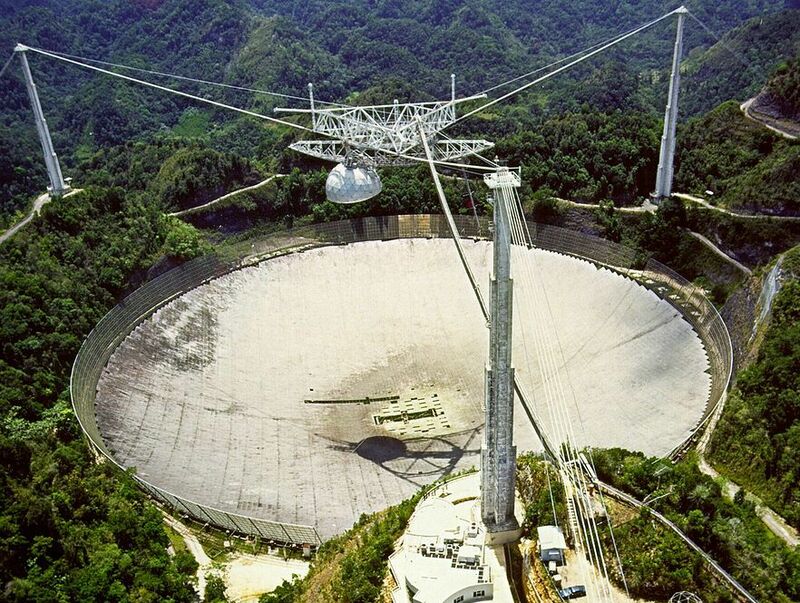 This has meant that, when using the largest telescope such as the 305 metre dish in Arecibo, Puerto Rico, we can now look for signals out to the aforementioned distance of about 1,000 light years. Improvements to electronics have allowed more channels to be scanned at the same time. For example, from 1995 to March 2004, a study known as Project Phoenix conducted observations in New South Wales in Australia, Green Bank in West Virginia, and Arecibo. The project observed around 800 sun-like stars over wavelengths between 10cm and 30cm. Around 2 billion narrow channels were analysed for signals. 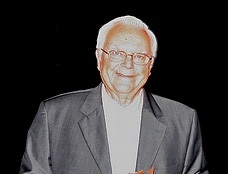 When the project concluded in 2004, no extraterrestrial signals had been detected, leaving the project leader to conclude that the Earth must be in a quiet corner of the universe. Funding for SETI has always been limited. Compared to activities such the space programme, the amount of public money made available has been very small. Until the Allen telescope (see below) was completed there was no radio telescope allocated for SETI. 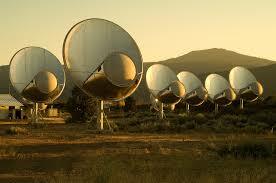 SETI researchers had to compete for time on telescopes used for conventional radio astronomy. In general conventional radio astronomy has always been given priority. In 1994 Congress cancelled all public funding for SETI, believing it to be a waste of money. For this reason Project Phoenix, and many subsequent studies have been privately funded by the non-profit making SETI institute (www.seti.org). SETI finally got its own telescope when the Allen telescope (www.seti.org/ata) was built in California. It is named after Paul Allen, the co-founder of Microsoft, who has contributed more than $30 million to the project It consists of 42 separate dishes, each 6.1 metres in diameter. The signals from the individual dishes are combined to give the same sensitivity as a large single dish telescope at a fraction of the cost. The Allen telescope, which started operation in 2009, will be used for both conventional radio astronomy and for SETI. Unlike other telescopes, rather than having to look at an object multiple times to cover different wavelengths it allows a large number of channels to be searched at the same time over the 3-cm to 30-cm wavelength range. This greatly speeds up the search. It will survey 1,000,000 stars for non-natural extraterrestrial signals with enough sensitivity to detect a strong signal out to 1000 light-years. Despite over fifty years of searching, no extraterrestrial signal has ever been detected. It is becoming clear that the locality of our own galaxy is not full of advanced civilisations communicating with each other! My own feeling is that the large searches performed by the Allen telescope won’t find anything and that we will come to the realisation that intelligent life is rare. It may well be the case that the Earth is not just an ordinary planet orbiting an ordinary star in an ordinary galaxy, but rather a very special place indeed, for it is the only place for tens of millions of light years where intelligent life exists. I hope you have enjoyed reading this (and there is much more chance of this now that Mrs Geek has corrected my terrible English), and for my next post I’ll been talking about that Arecibo message from Earth to extraterrestrial civilizations. The distance from the Earth to the Sun is 0.000016 light years. The nearest star other than the Sun is 4.2 light years away. The centre of our galaxy is 26,000 light years away. The gap between my English and Mrs Geek’s is 4.2 billion light years (she wrote this bit). Previous Post Is There Anyone Out There ? I read your articles all the time but rarely comment. So someone is ‘out there’ whether you detect it or not. Also, I think that radio waves may be way too slow for interstellar communication. More technologically advanced societies may have developed entangled particle communication that would be instantaneous over distance. The messages may be here all around us and we do not know how to read them. Found this Blog by seeing your Comment on “WordPressers Making A Splash”. Looking forward to going thro your past Posts – been looking for something like this. I write about science: fact, bt mostly sci-fi (as I find that gets more Views). if you haven’t already, you should watch Thrive. There is an interesting part in the video that suggests aliens have replied to our communication attempts. whether it is true or not it certainly opens up your mind to how aliens would respond. Thanks for this I’ll take a look at the video. I’m so happy I came across your page. This is the reason I love looking profiles, because a lot of people’s pages are very interesting. This topic have always caught my attention since I was very small. I love it. I’m glad I found your page.